Banning an email is not like banning an IP address and it is commonly used if you would like to disable the access to the user account owning that email. Other reasons for blocking an email account is if multiple spam registrations were created with the same email account and you would like to restrict their access. 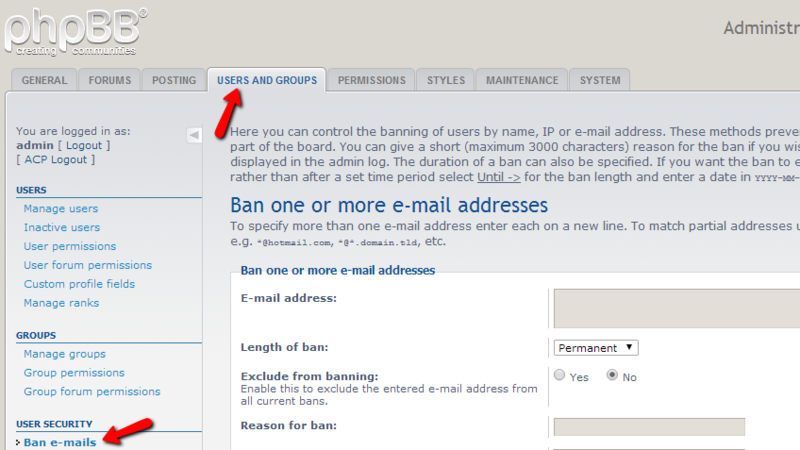 Since you will be placing an email ban you will need to login into the Administration Control Panel of your Board. Once logged in please navigate to Users and Groups>User Security>Ban e-mails. At the top of the page you will find useful information regarding the action you are about to take which is recommended to be read carefully before you proceed with applying the actual ban for the email account you have chosen. 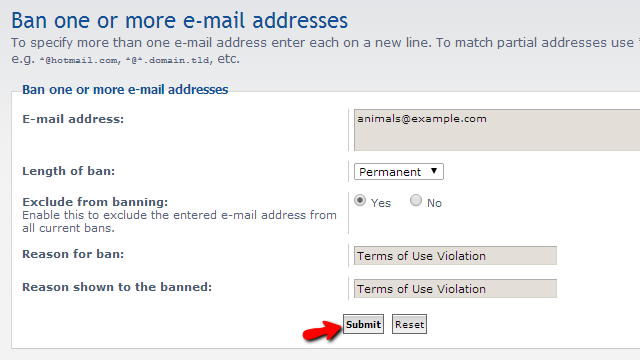 On that page you will also notice a single section called "Ban one or more e-mail addresses” where the actual ban is placed. Once you are ready with configuring the ban please use the Submit button at the bottom of that section in order for the ban to be placed. 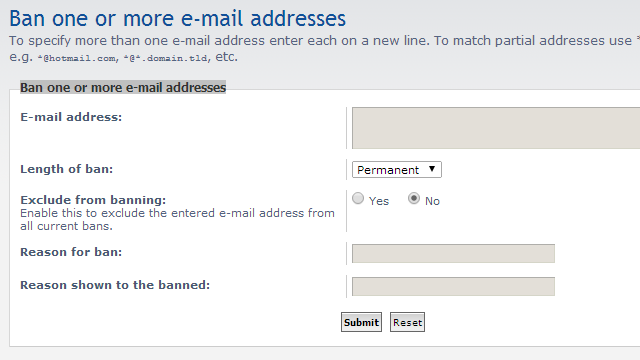 That is all you will need in order to place a ban for a specific email account.